We were out of the house later this morning so that we can make it just in time for brunch at the famous Poppies. To get there, take the Piccadilly Line (blue) to Leicester Square Station and transfer to the Northern Line (black) to Camden Town Station. 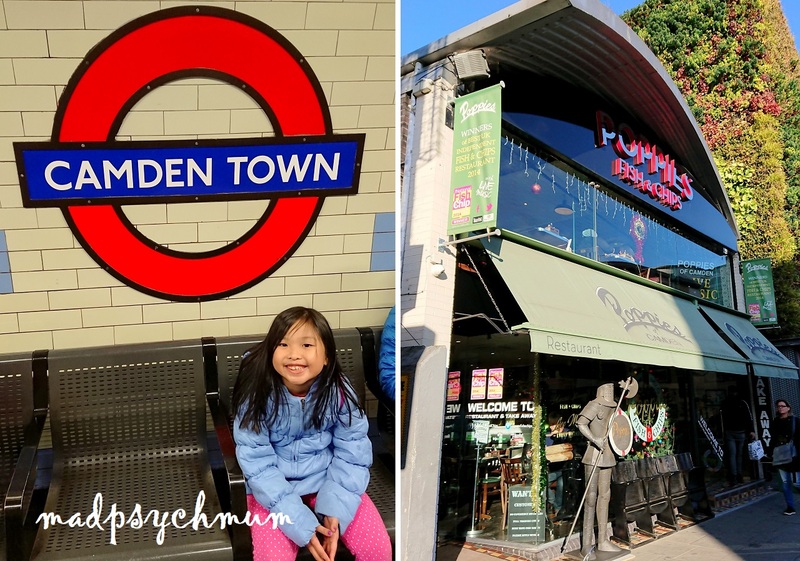 Follow the signs and you should be able to find it; it's only 5 minutes away from Camden Town Station. As you can see, Poppies is most famous for their fish and chips! You can tell from our faces that we loved the food!! I highly recommend getting the fish and chips. We also loved the whitebait fish chips so much that we got a whole plate of it! So yummy! After brunch, we took the Northern Line (black) to King's Cross Station. To visit Platform 9 and 3/4 shop! 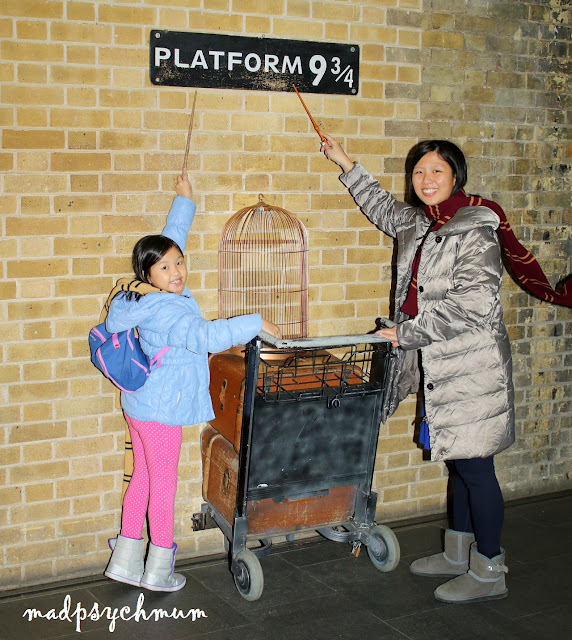 Yes, I'm a Harry Potter fan but for the benefit of those of you who are not, Platform 9 and 3/4 is the platform at King's Cross Station where young wizards and witches board the Hogwarts Express to Hogwarts. Hence, the shop is very aptly named indeed! We didn't have time to visit the Warner Brothers Harry Potter Studios so I had to contend with taking a photo with the famous half-disappeared trolley here instead. We were also provided with a soft copy of our photo I bought. Not too bad for the price we paid. I usually don't buy souvenir photos but this is just too good to give up! Love it! My loot from my 1-hour shopping at Platform 9 and 3/4! Had to hold myself back so that I don't go broke! When we were finally done, we headed to Hyde Park via the Piccadilly Line (blue) to Hyde Park Corner Station. 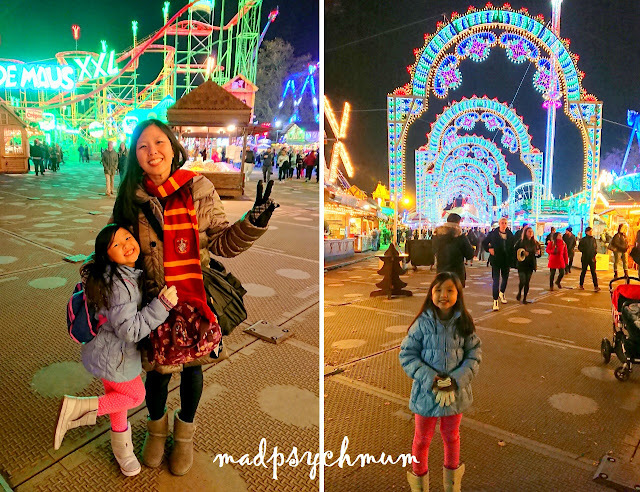 We were here to visit the annual Winter Wonderland at Hyde Park. 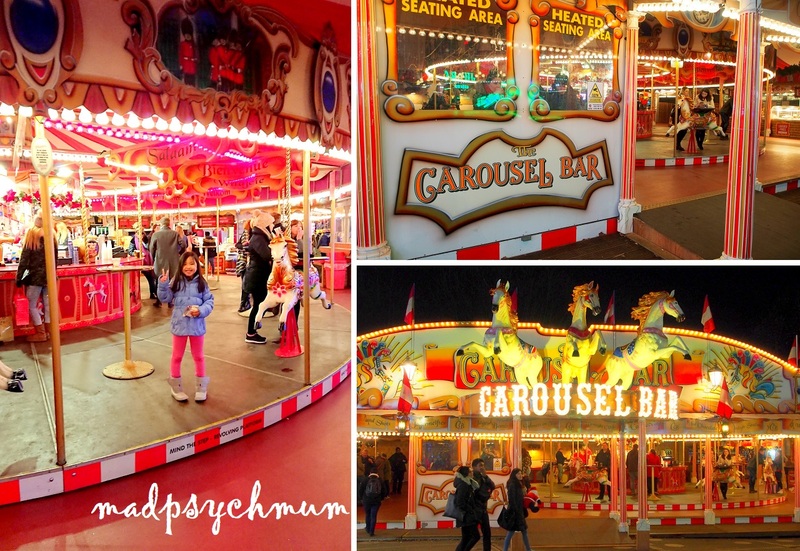 It's not often that we get to visit a carnival in cold weather! 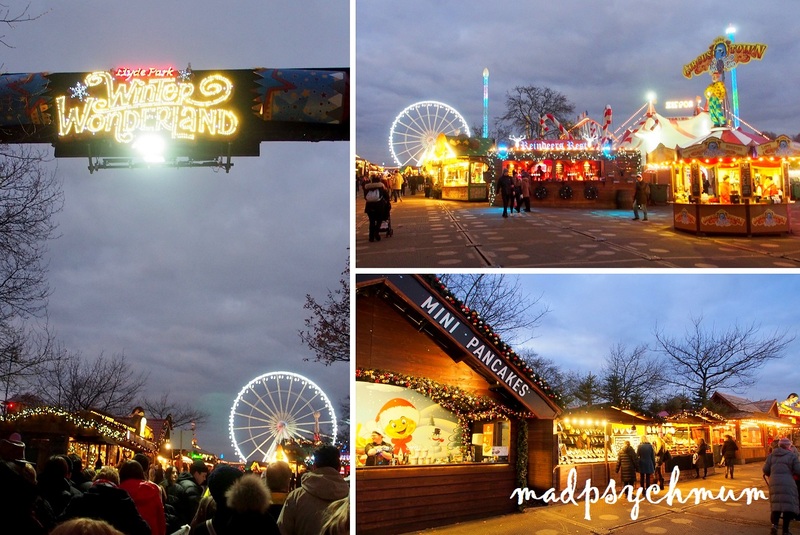 There were lots of activities like ice skating, circus performances, ice sculpture display and even an ice bar! 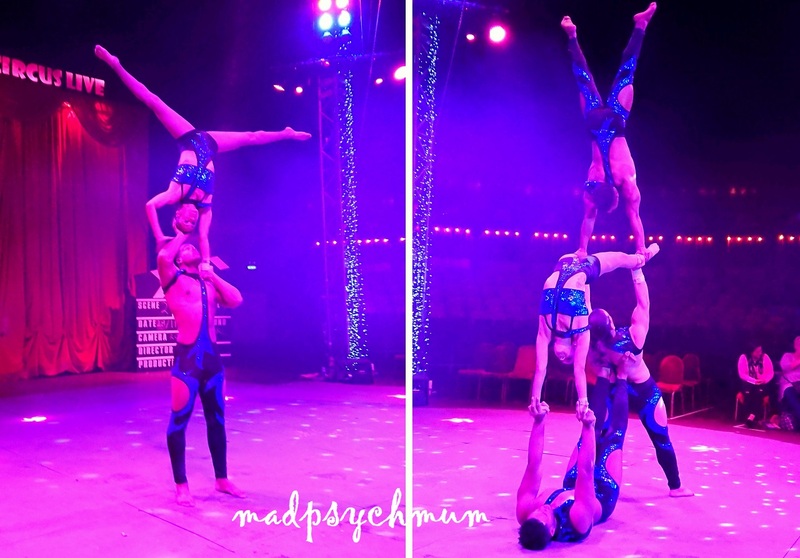 Although I really wanted to try the ice bar, we decided to get tickets to the Zippos Circus instead. It cost us only £8.50 per adult and £5 per child, which was so worth it because we managed to get front row seats to an amazing show! Walking on the outside of a spinning wheel without use of harness! This guy is incredible! After the show, the girl and I ran to the Ice Rink as we also booked a session of ice skating for both of us (cost us £9.50 per adult and £7.50 per child). We were really excited to try skating outdoors for once! 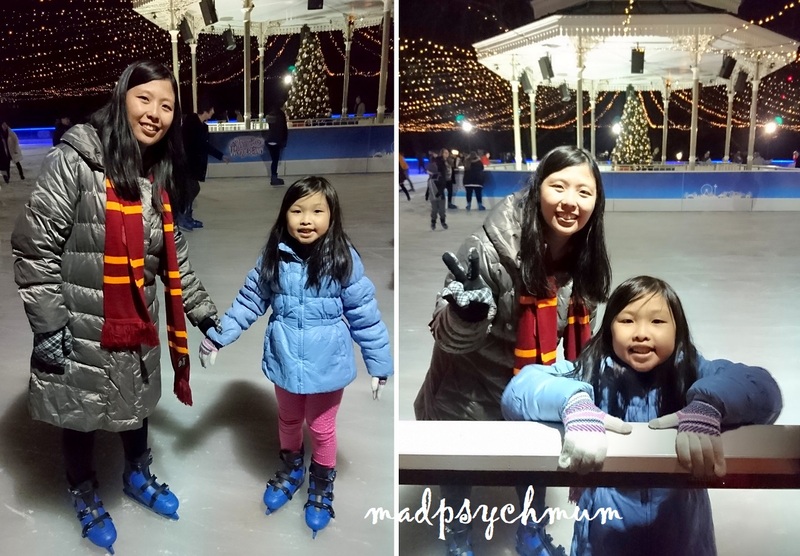 I had always gone ice skating in an indoor ice skating rink and never got a chance to ice skate in a park. When our hour was up, we went to look for the hubby and mum, who were hanging out at the Carousel Bar. Like its name suggests, the bar is located on a carousel which goes round while you sip your drinks. I have never seen anything like it! So cool! It started to get late (and very cold) so we decided to return back to our hotel. 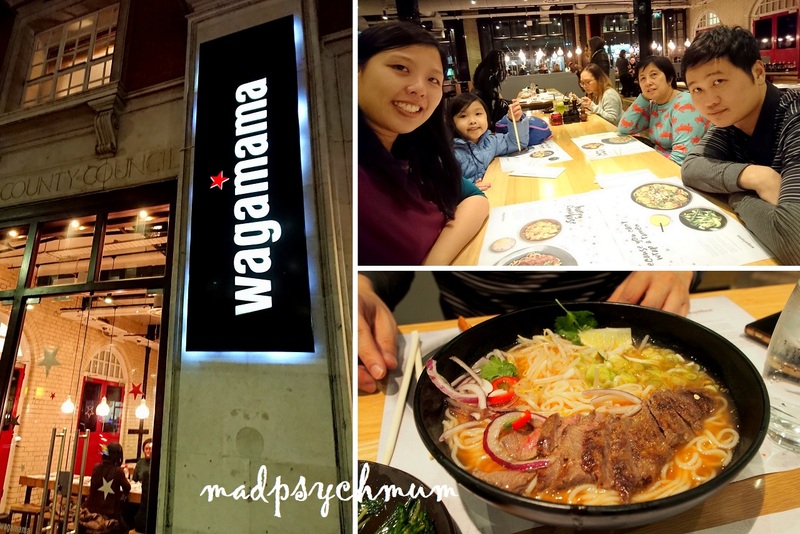 On the way back, we stopped by the nearest Wagamama from our hotel.